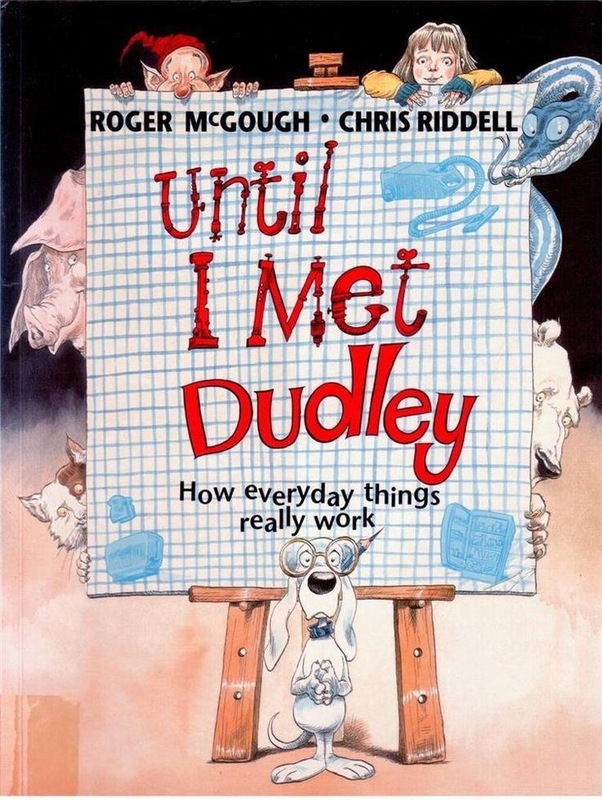 After many years of using the book with KS2 children, I have come to think of it as the perfect classroom text. Susan Price has created a rich and exciting story which is told in a comparatively short book, which makes it ideal for classroom use…helping to avoid those terrible moments at the end of the year when your poor class leaves you without you ever reaching the end of your weighty class text. 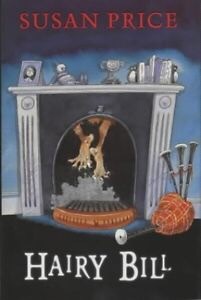 The story itself is centred around the arrival of Hairy Bill in an unsuspecting household. His first appearance in the text is incredibly memorable; adults and children alike will be immediately transported to those seconds that seem like minutes in your own bed when you hear a sound in an otherwise silent house. The way in which Susan Price juxtaposes the ordinary, everyday lives of the central family against the world of myth and magic brought by Hairy Bill makes the story truly enthralling and strangely identifiable. You will find yourself imagining what it might be like to have Hairy Bill sat in your own living room! The book is also interspersed with some wonderful illustrations. The illustration of Hairy Bill on the attack has stuck with me for a long time….its is terrifying in a comical way (perfect for children) and akin to an angry terrier going for your leg! This would be a brilliant text to use as part of a unit of work on mythical stories, as the background of the text is deeply set within British, specifically Scottish myths and folk stories. However…you really don’t need an excuse to use this book in your classroom…it is one of the most enjoyable books to read aloud to children! This wonderfully whimsical and deceptively simple tale provides many rich opportunities for learning across the curriculum. The story of Sam, Dave and their Dog is all about them choosing a dig a hole but, unbeknownst to them, every time they are on the verge of a great discovery the trio veer off in a different direction and miss an amazing opportunity. Once the children are familiar with the story as a whole, they could choose one of the ‘near-miss’ discoveries to expand into a full narrative. For example, the group come close to discovery dinosaur bones. What might happen if they carry on digging? Will it be a rare/unknown dinosaur? Will they become famous? Is it a dinosaur at all – perhaps an alien? mythical beast? Equally, the entire story could be expanded and retold from the point of view of a single character – typically Sam or Dave but for a real challenge for the more able, perhaps they could voice the dog and his frustration with the ineptitude of the human excavators! At the core of the story is a clear link to the PSHE curriculum – resilience and determination in the face of a difficult challenge. If you keep going through tough times you might be surprised by your success. This text could provide a wonderfully inspiring centre piece for circle time activities. The children could be asked to write letters of encouragement to Sam and Dave or they could respond to the diggers’ letters of frustration in the role of an agony aunt! From a mathematical perspective, this book could provide an unusual stimulus for work focus on shape and space – specifically measuring and drawing angles. Using copies of some of the images from the text, the children could measure the angles that Sam and Dave were digging at and create a sequence of instructions to reach specific goals from the story i.e. diamonds! 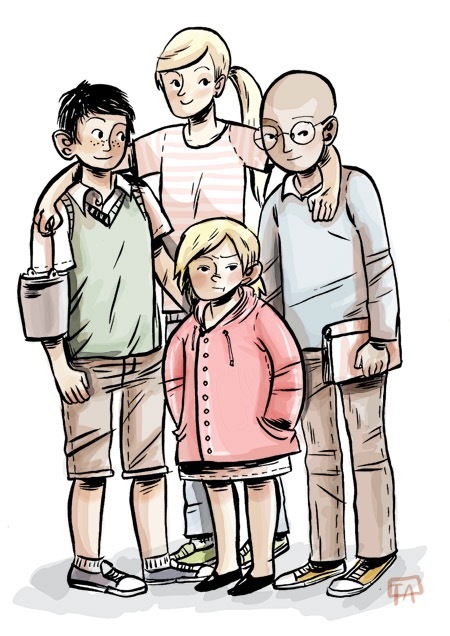 An additional and potentially very enjoyable collaborative project would be to draw and then write a class story. Groups of children could first create their own ‘near-miss’ images of Sam, Dave and the dog at the end of a session of digging – in the same simplistic style as the illustrations in the book. These could then be displayed together on the classroom wall and connected together with different paper pathways. This group artwork could then be used as inspiration for writing new stories for Sam and Dave; the children could pick one or more end locations and write a story about the journey taken by the characters! This is an incredibly fun book and I would love to hear about your inspired ideas! 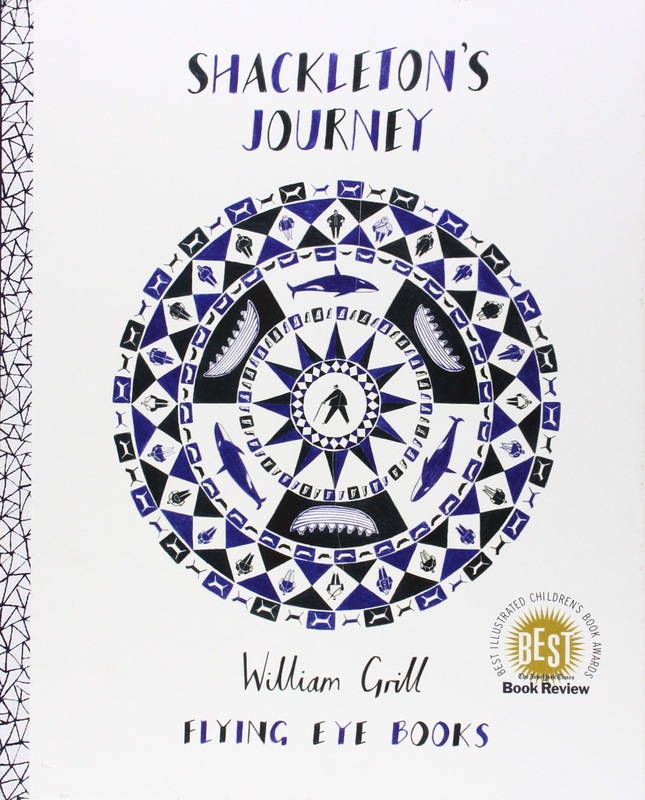 As promised a few days ago, I have finally finished pulling together a few ideas around the use of William Grill’s ‘Shackleton’s Journey’ as a contextualising hook for a range of Mathematical learning. The ideas that I am going to share are focused on Upper Keystage 2, with an additional emphasis on the development of numerical reasoning skills. For clarity, I have tried to organise the ideas using the page titles that Grill has assigned to each double page spread in the book. They actually form brilliant lesson titles for the children, not only helping to structure the story of Shackleton’s journey but also contextualising each and every lesson. This led me to choose to entitle the whole 2 week unit of work ‘Survive!’ to really get my class hooked from the outset! Keep in mind that these activities have been planned with my particular class in mind, including the extent of their prior learning. Needless to say that the length of time committed to each objective will vary from class to class. Read through The Crew and display the image. Then set the challenge of using taking charge of a total budget of £20,000 to crew the ship (not as simple as £1000 per person as there are more than 20 crew members – How much will you pay each crew member? The children must justify choices, listing the individual salaries in descending order in a format of their choice. Move on to read The Dogs page to the children. It shares the information that 69 dogs were selected to support the trip. Having provided the children with a list of possible foods/prices (possibly taken from a current supermarket website) the children should apply the skills they developed in the previous session to cost out the provisions needed to feed the dogs. Read through the next phase of the story, Equipment and Supplies. The children should then be provided with individual cost of items shown on the diagram in book. This is a really detailed image, as shown above, and the children will need to extract from diagram the total number of each item to calculate their total costs– however, there are some aspects that will require them to make decisions and justify these choices i.e. is a big barrel double the cost of a small barrel? What would the total budget be? The children should also be challenged to represent their results in a table. Again making use of the Equipment and Supplies page, play the Psychic Game with the children. Start by telling them that you are thinking of a number between 500g and 2 ½ kg. (Really ham-up the psychic powers bit for effect!) The children should all individually write their answers. Then reveal your number to the class. Each table team should then look through their guesses and try to pick one answer that has a justifiable link to the teacher’s number. Each table then shares their answer and justification (hopefully mathematical i.e. if you multiply my number by 10 and add 5 you get your number) for the teacher to score. This session should be available for the children to complete yesterday’s task and then take the time to share their reasoning and problem solving skills with the rest of the class. All map lovers will adore the next activity – introduce the children to the Expedition Map. The teacher should then model the use of coordinates and, for differentiation, 6 figure grid references using Map of South Georgia from text. Use understanding of simple fraction, decimal and percentage equivalences. Move on to read Endurance Lost. Introduce the children to PBS Nova Weighty Decisions activity (available online through Google)– which raises the question about what Shackleton chose to recover from the wreck of the ship to stage their escape. Without knowing Shackleton’s final decisions, the children should be asked to make their own decisions about what to take, choosing their own format to organise and collate the information, including the weight of each item (with the consideration that each person could carry 100lbs = 45Kg; 1lbs = 2.2kg). At the end of the session, the children will be interested to know what Shackleton chose and some of the intriguing reasons why – such as the choice to carry oil paints; for the purpose of waterproofing leaks in their small rowing boats. Continuing to focus on the Ocean Camp pages, the session will continue to focus on temperature and negative numbers. The children will be provided with a range of temperature data, taken from the Antarctic, for months relevant to this stage in the story, to sequence and graph on a line graph – with a focus on arriving at the mean, mode, median and range of the data. Finally – set aside some time to share the end of the story, so that the children can realise what an amazing achievement the was made. All returned safely despite incredible odds! If the focus on reasoning skills has also peaked your interest in this area of Maths, there are some great texts by ATM – one which I use heavily is called ‘We can work it out’ and is brilliant for developing mathematical reasoning and group problem solving. There you have it, my thoughts on the use of this wonderful text in a Mathematical context! I am sure that there are many other potential uses for the text in a similar vein and I would love to hear about your adventures alongside Shackleton! Keep your eyes peeled over the next few days for (what will hopefully be!) an exciting set of ideas linked to the wonderful ‘Shackleton’ by William Grill. I am hoping to generate lots of exciting Maths theme ideas for this text to create a maths mini-top around the evocative illustrations. This is also an excuse for me to use yet more picture books in my classroom! The children’s literary world is filled with swashbuckling heroes, supernaturally powerful heroines and teenage super-spies. The refreshing take from Trenton Lee Stewart is that his main character is highly intellectual but otherwise quite ordinary, but yet he still manages to save the day! That said, he does it with the help of his friends. 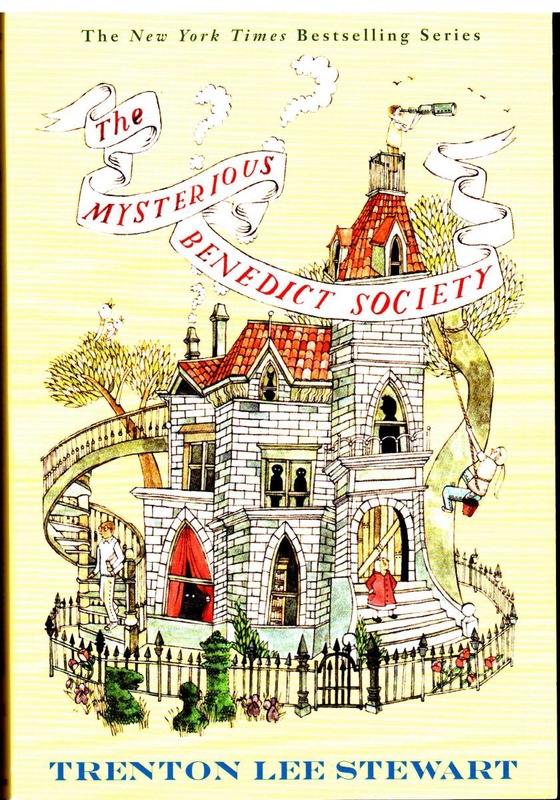 The book tells the story of children who are gathered together to attend The Mysterious Benedict Society of the title. Their attendance is made to appear as a sought after prize for the intellectually gifted but once they are locked behind the doors of their new home, the reality is much different! The story is a testament to the power of friendship, especially when friends offer support to each other to overcome their weaknesses or fears. Having read this to a number of older primary school classes, I can comment on the way in which the children are quickly drawn into the many mysteries of the novel. 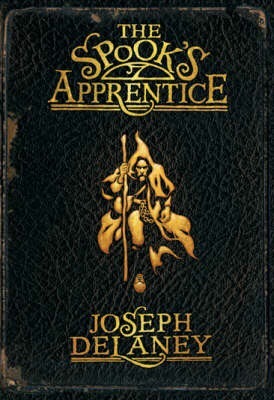 This is obviously due to the high level of adventure but is also the result of Trenton Lee Stewart’s masterful characterisation…he makes the reader really care for all the characters. I distinctly remember a whole class being genuinely concerned for the welfare of a character who is made to suffer at the hands of the James Bond-esque villain of the story…think Blofeld without the cat! 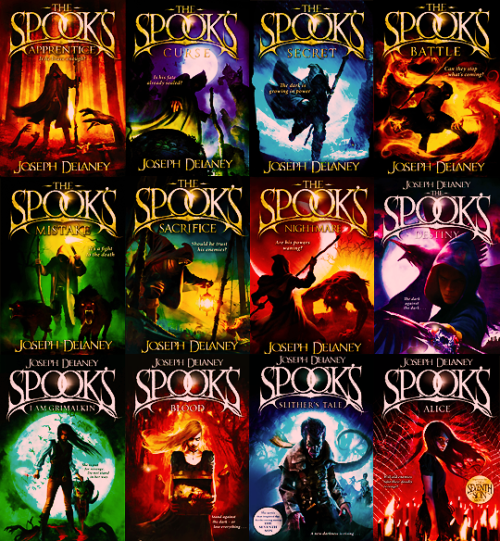 The novel would provide a good counterpoint to other group adventure narratives such as Percy Jackson and Harry Potter, with the aforementioned normality of the characters offering balance in a world of superheroes and mystical forces! This is also another strong candidate for books to hook reluctant readers as this is the first in a series of adventures for the central characters. If you are a child of the late 70s and early 80s, you will no doubt be familiar with the once popular (but often disappointing) viewer toy. Mine was made of red plastic and I would regularly be bought white disks to insert, showing scenes through the lens from the latest blockbuster film or popular tv programme….not exactly Netflix or Amazon Prime but it was all we had at the time. 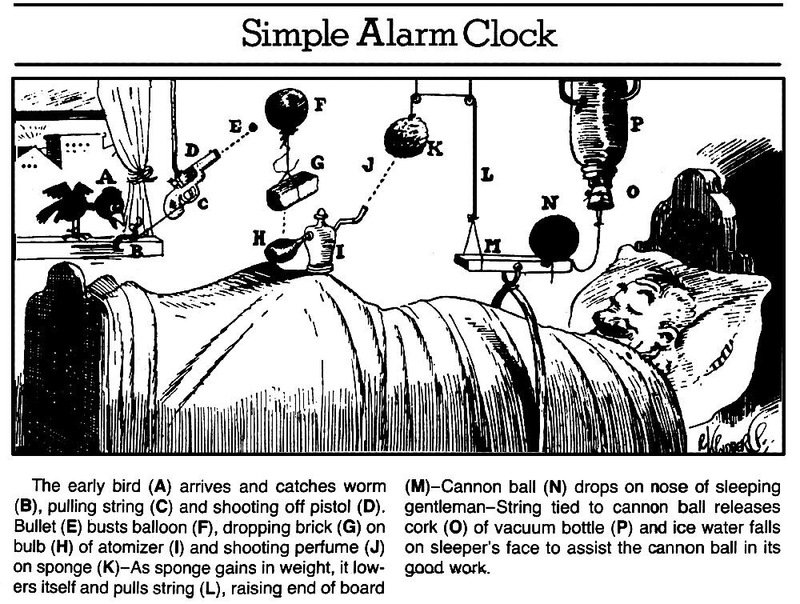 Well, one such device is featured in Shaun Tan’s The Viewer…although this tale is altogether darker and definitely for older children. The book tells the tale of a young boy who likes routing through rubbish, who finds the Viewer of the title. When he looks through the lenses, he sees images of suffering and descruction (all the scenes depicted can easily be matched to significant periods in History, such as the fall of great empires and the relocation of indigenous people. The tale ends on a mysterious and sinister note after the main character feels the viewer is watching him, until he finally gets pulled into the dark places between the images on the viewer disks….and his family forget he ever existed! The images in the book could all be used as a starting point for a piece of short story writing, as they are dripping with opportunities for descriptive writing. Equally, the images displayed on each disk viewed by the main character could be used together, with the children being asked to sequence the images and then write or orally retell the story they believe is depicted. This would be a great opportunity for the children to explore different interpretations of the same events, as the images provided plenty of opportunity for discussion. 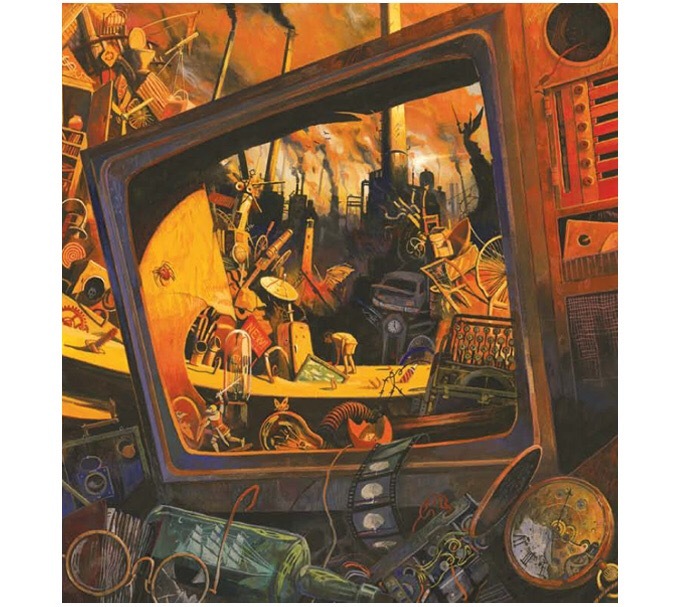 The final set of images seen in the viewer are of potential modern day apocalyptic situations such as Nuclear explosions, famine and pollution. To take a more positive view, the children could be asked to create a viewer disk set of images or associated story which tells how one of these events was averted or avoided. On a similar theme, the children could all be challenged to create images or stories for a positive viewer – perhaps a companion device to the one in the story which is found by another character on the same rubbish dump. They could be asked to identify significant successes and triumphs from mankind’s history to show the achievements and progress of the past. 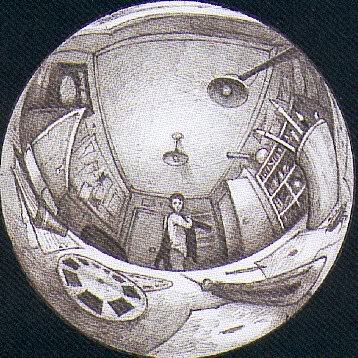 The author’s note states that they were inspired to write the story after one of their childhood disks from their own viewer had a missing image pane….stimulating the idea that someone had been there before them and fallen through the broken image into history. The could provide a rich and challenging opportunity for writing as the children could be asked to write the story of the main character who is drawn into the viewer, in relation to where and when in history he appears. Does he return home? Does he influence historic events? Does he meet any historic characters. This would make the book easy to link to virtually any history project! 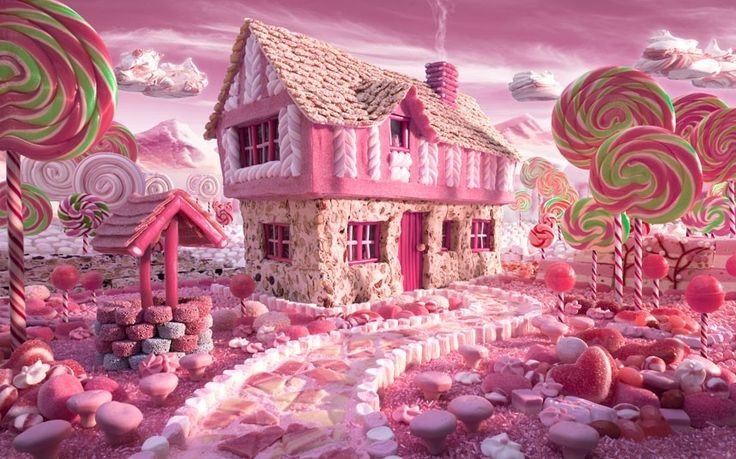 There are obvious links to be made with art, in that the children could produce their own sets of images to reflect a world, local or personal event. However, this idea could be taken further with the use of animation software; the children could animate their own sequence of images or try to replicate those in the book, filling the gaps with their own storytelling. The Viewer itself is found in an ornate box. There would be great scope for the children to create their own boxes, decorated and adorned with significant symbols and images, as part of a structures project in DT. 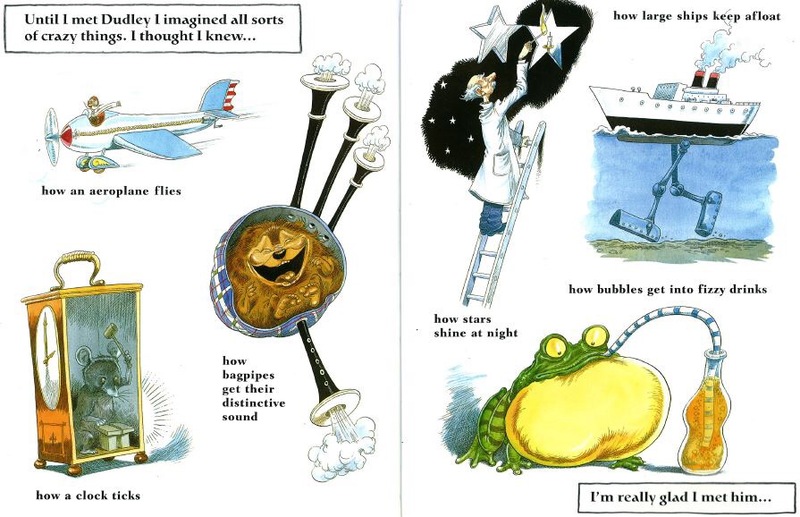 Additionally, the very emotive imagery in the book could provide stimulus for composition in music. What soundtrack would the children compose for the different sequences of images on each disk?